Not my own thoughts, but rather the beginning of Colloquies with an unseen friend (1907), the collected (by the intriguing Walburga, Lady Pageta) automatic writings of one Fidelio, a rather well-informed spirit (friends with Plato dontcha know! ); a book I catalogued the other day and one which evinces the mindset of the potential audience for these strange fictions we’ve been meeting. Well, to show my hand and start wrapping things up, I’ll borrow from Commentator B again, who posits a paradoxical positive feedback loop sort-of-thing by deciding that “what is sought after – the otherworldly – makes us realize how much we need the worldly; but the more we know of the world, the more we need to be rid of it.” And after all, this was a time when people’s feelings towards the world around them does seem to get pretty confused. It’s the anxious transitional period at the start of the new century, a period of social and political change as another siècle is fin. And while there are Belle Époques and Gilded Eras being lived, England and a large slice of the world will soon move from this era of relative peace and prosperity through to the horror of two great wars and into a modern world beyond. One final note to ring out though, and that is how unfortunate it is that both commentators agree to class these works as debasements and vulgarisations of something apparently finer, the implication of which is to ascribe them a throw-away nature. Alright, so some of them may be tosh, but to subordinate them all, to ignore wholesale the ‘vulgar’, would be to miss the chance to get a better idea of a historical people, not to mention you’d miss a cracking yarn or two. Where would we be without such popularist material to study? he cries. Well, I’d be out of a job, but luckily the collection in the Tower with its odds and non-academic ends – including many of these works, waiting, their wyrd worlds trapped forever in their pages – gives us that chance. And me a job! Samuel Hynes, The Edwardian Turn of Mind (London : Pimlico, 1991). Jack Sullivan, Elegant Nightmares (Athens, OH : Ohio University Press, 1978). So, what can we learn from all these writers and their strange fancies? Indeed, the start of the C20th was a heyday for bodies such as the Society for Psychical Research (SPR) and other attempts to bring the methods of scientific investigation to the world of the paranormal. And on the flip side of this eerie coin we find the many faux-mystical associations of the time, such as the Ghost Club and the Hermetic Order of the Golden Dawn. 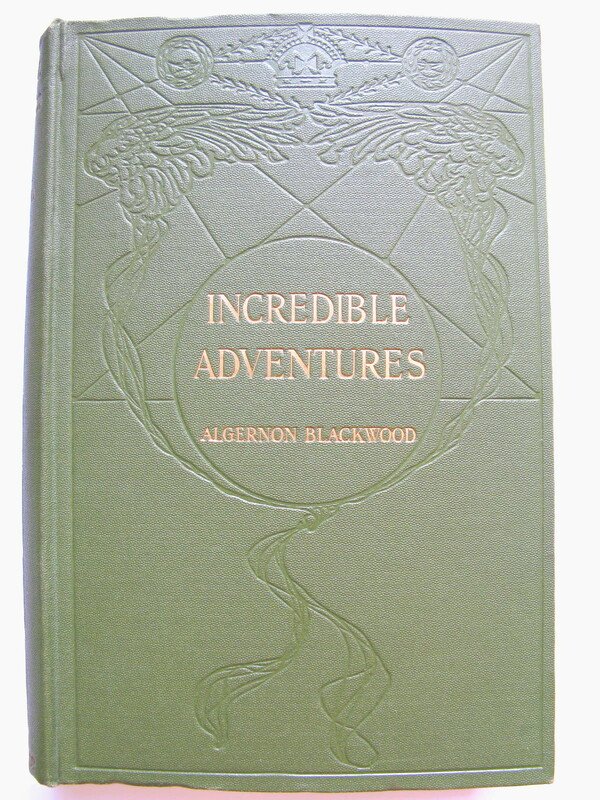 And wouldn’t you know it, Algy Blackwood was a member of both, and in the Hermetic &c. Order he would find himself rubbing shoulders with the self-styled mystic and infamous libertine enfant terrible of the age, Aleister Crowley (who also bore the moniker … ‘The Great Beast.’ Yaaarghh the scandalous horror). 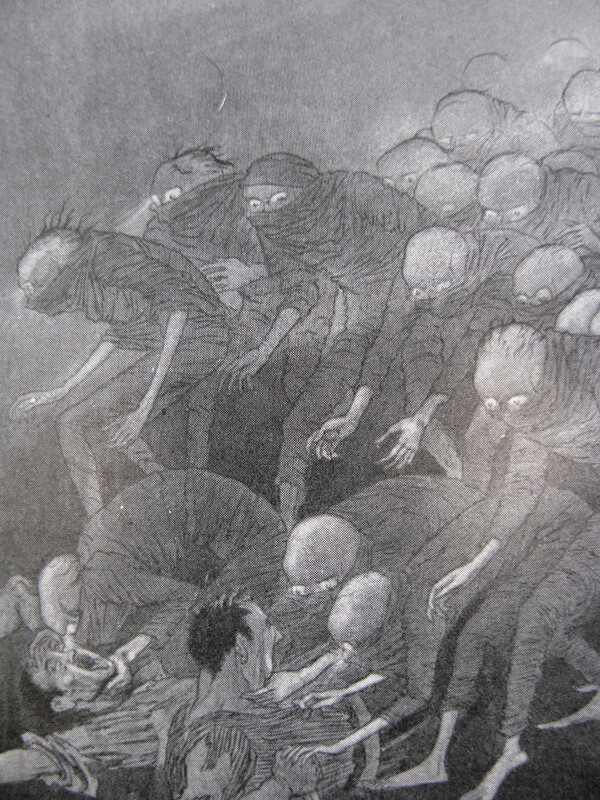 An interesting episode that knits these links together (and, thrillingly, will lead us towards a conclusion in part 4 of this blogseries) is the folkloric tale of the Angels of Mons, a popular (ca. 1915) legend which would have us believe that angelic beings came to the aid of the British army in their first encounter of Great War. The myth finds its origin in “The Bowmen,” a story written by Welsh weird fiction author Arthur Machen, also briefly a member of the Hermetic Order of the Golden Yawn and another singled out for praise by ol’ H.P. Sauce himself. The tale takes as it’s base the real David/Goliath achievement of the British in the Battle of Mons and then adds some etherial Agincourt bowmen to the fictional mix. Although presented as fiction, the story would mutate and reappear passing itself off as fact and would be investigated by the SPR. Though they’d conclude that the proffered accounts were *shock! * bunkem, the salient point as far as this post is concerned is that there was an environment which could support a straight-faced investigation of this sort of thing at all. Was the strange staining the straight-laced…? Coming up next time: A conclusion is reached! 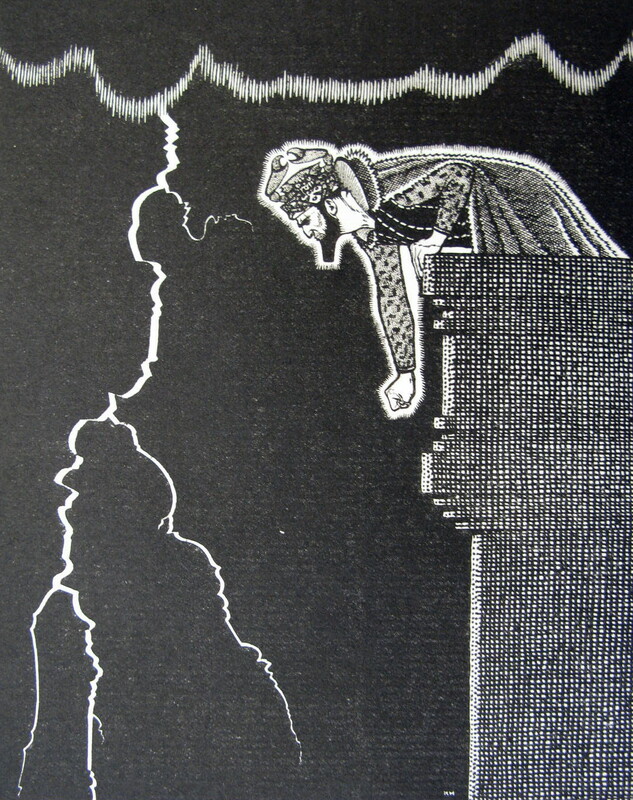 …or to use his mercifully abbreviated nom de plume, just plain ol’ Lord Dunsany, was another writer of strange fiction birthed by the 20th and newest century. Born into privilege, young Drax Plunkett would spend many of his early years at the family castle, and would attend Eton and Sandhurst for his education. Perhaps unsurprisingly then, family wealth and connections assisted his introduction to the literary scene, but he would fund the publication of his first work, The Gods of Pegāna (1905), from his own pocket. The above lines, from the Sayings of Slid, bring us nicely to one of my favourite aspects of the book, being the names Dunsany bestows on his deities, which have a t’rific onomatopoeic quality to them. Take for examples: Mung – Lord of all Death , Sish – Destroyer of Hours, and indeed the aforementioned Slid – Whose Soul is by the Sea, which for me conjure up thoughts of thick azoic muds, sand passing the waist of an hourglass and, well (bathetically), sliding on a wet surface. Anyway, owing a lot no doubt to the Celtic Revival occurring at the time, the book proved a great success. The fact that his subsequent efforts, not all set in Pegāna but certainly of a similar vein, including Time and the Gods (1906), A Dreamer’s Tales (1910) and Fifty-One Tales (1915), were published by large, well established publishing houses attests to the popularity of such works. 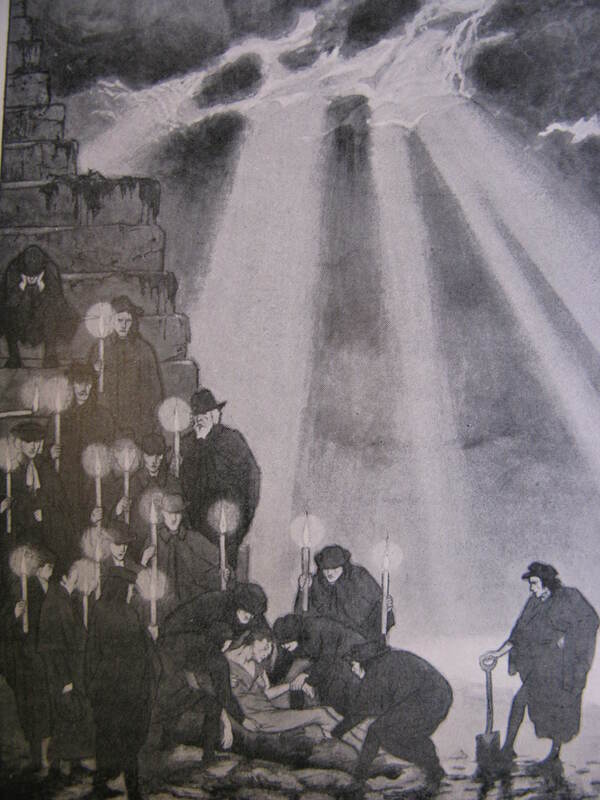 The illustrations on this page are by one Sidney Herbert Sime, a personal favourite, and an illustrator in whom Dunsany found a kindred creative spirit. Beginning with The Gods of Pegāna, the pair would often work together providing what seems to have been mutual inspiration. 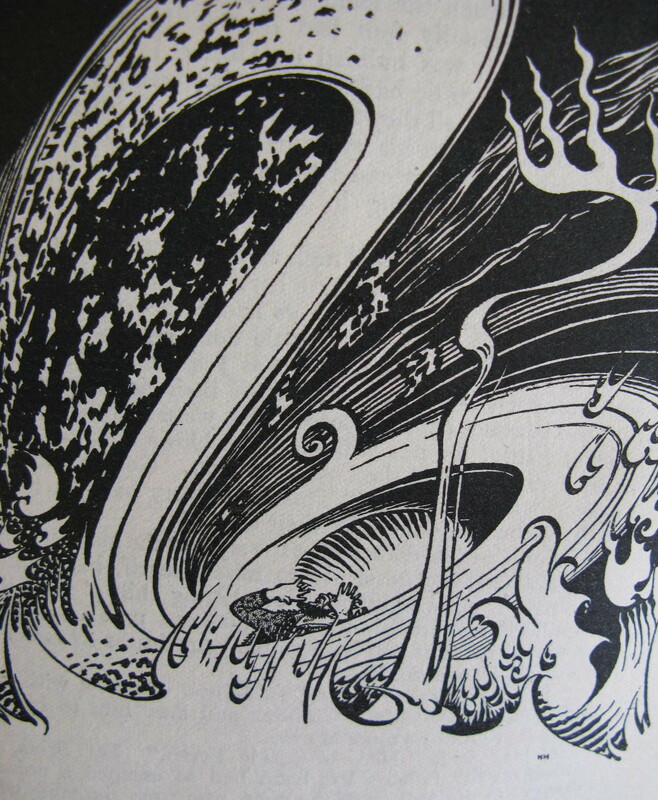 The library holds several of the first editions of the Dunsany/Sime works as wells as modern volumes which collect Sime’s illustrations, which are all well worth a peruse. Oh, and the second addenda, Lord Dunsany’s younger brother had an even longer, and more incredible name. A prize (well….) for the first one to find it! I’m partial to an unusual tale, and thus, I suppose, was bound to get caught in the tendrils of H.P. Lovecraft sooner or later. An oft cited influence on the modern in his own right, this premier auteur of strange fiction was concious of the debt he owed to his predecessors in the field (many of whom haunt the Tower), and it is from this jumping off point (a plunge from the shore’s of Atlantis into the mythos infested waters that surround it) that I’d like, if I may, to borrow some time to post a blog or two flagging some of these influences and having a chin-wag about the subject in general. If the dominant style for fiction during the first decades of the twentieth century appears to have been a continuation of the literary realism of the Victorian era (that of Dickens, George Eliot and Balzac, continued by Arnold Bennett, Ford Madox Ford, D. H. Lawrence … et. al. ), there is, if one is willing to look at it, a concomitant rise in the amount of fiction being written in a more fantastical mode; the stories of the weird and wonderful taking place in this, and other worlds. 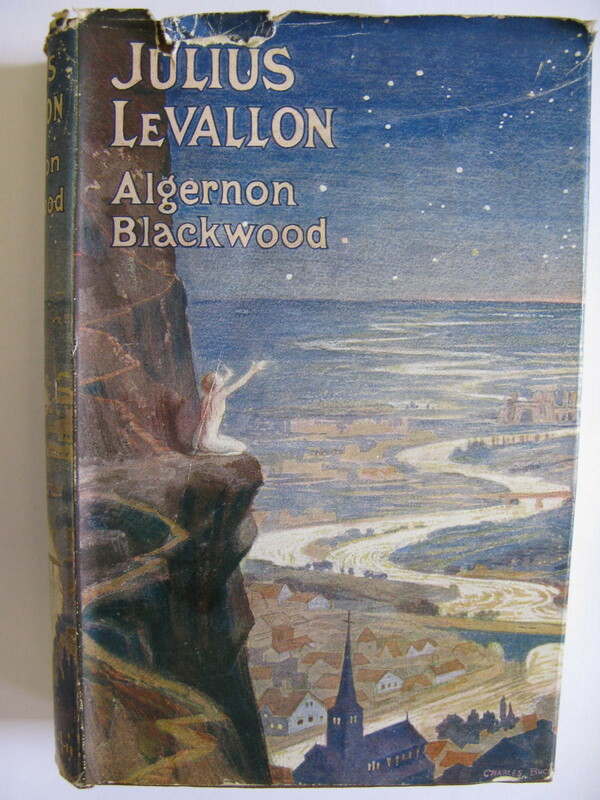 …A prolific writer of strange fiction, penning 15 books in his most productive period from 1906-1916, his stories present their protagonists as seekers of the unknown, rather than the passive receivers of apparitions, whose investigations culminate in awe and wonder (The Centaur, 1911) as often as they would in horror (The Empty House and other Ghost Stories, 1906). Raised by a strictly Evangelical father, he would eventually rebel against these teachings and immerse himself in whorls of Buddhism and Rosicrucianism. Although a firm believer in psychic experiences and supernatural phenomena, all the same, he never presented his stories as coming from his own experience.